Is your warehouse prepared for an emergency situation? If not, you’re tempting fate. Should disaster strike, a bad situation could quickly become 100 times worse. Having an emergency plan in place for anything that comes your way isn’t just a smart, sound safety practice – it’s literally the difference between injuries and serious injuries, or life and death! 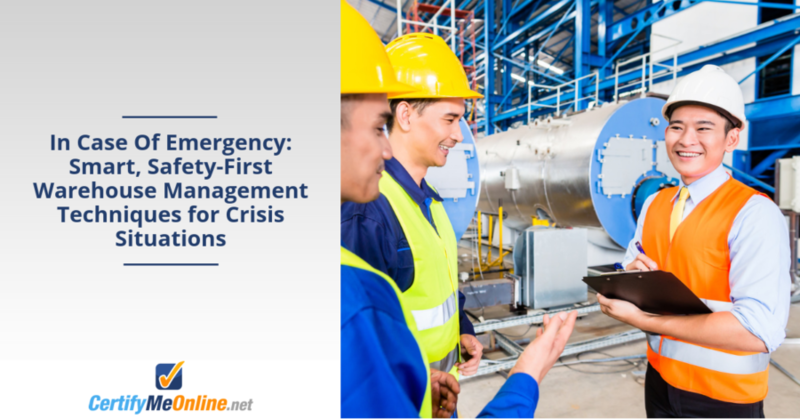 This entry was posted in Aerial Lift Certification, OSHA News, Scissor Lift Training and tagged aerial lift certification, Emergency Preparedness, Scissor lift training, Warehouse Preparedness on April 8, 2019 by admin. This entry was posted in Scissor Lift Training and tagged scissor lift, Scissor lift training on October 26, 2017 by admin. Scissor lifts and aerial lifts are not just for warehouse or construction work. An artist can use one to create intricate murals that inspire community beautification. Newsworks.com reported that Illia Barger, who comes from a long line of artist ad musicians, is currently working on a mural reliving happy memories of Princeton, New Jersey’s public garden projects. Princeton’s city council has been diligent for some time about community projects and started with The Herban Garden, Writer’s Block, and Quark Park. Barger was asked to create a mural representing one of her favorite memories of these parks. She chose to do a beautiful concept piece that makes the viewer feel as though they are a child lying in the grass looking up an impossibly clear sky. She has titled the piece “Continuum”. Barger, a baker by trade, opted to paint the mural on the side of her own bakery which is right in the Writer’s Block area. In order to be able to reach the full extent of the building for her mural, Barger elected to use a scissor lift. In the wrong hands of someone who has not been trained to operate this kind of equipment, this could, potentially end in disaster, dismemberment or even death. Even if you are renting the equipment it is always better to make sure that you are fully trained on the equipment you are using, especially when it is equipment of such magnitude. 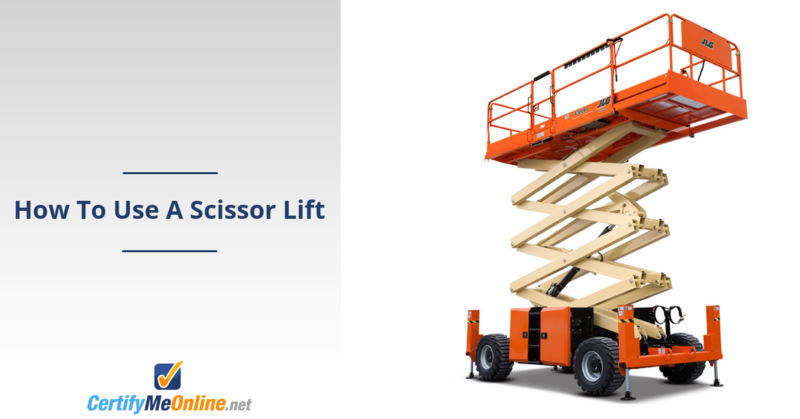 There are many ways to get training scissor lift training. Companies are now offering online training and certification for scissor lifts and aerial lifts. This makes an easy and convenient way to receive the proper training to keep yourself and anyone using these machines safe. Whether you are planning to use scissor or aerial lifts in your small business, or for a personal project like Illia Barger, make sure that you take the necessary precautions and do so safely. For more information, please visit www.certifymeonline.net. This entry was posted in Scissor Lift Training and tagged aerial lift, aerial lift certification, arerial lift training, certifymeonline, Material Handling, online aerial lift certificaiton, OSHA, OSHA aerial lift certification and training, OSHA certification, scissor lift, Scissor lift training on January 15, 2013 by admin.